Saturday night and I am wondering what the weather will be like for my circuit race tomorrow. The weather today was very windy with gusts over 20mph. If the high winds continue it will make for a very interesting race tomorrow. Staying in the pack and not pulling will be key. 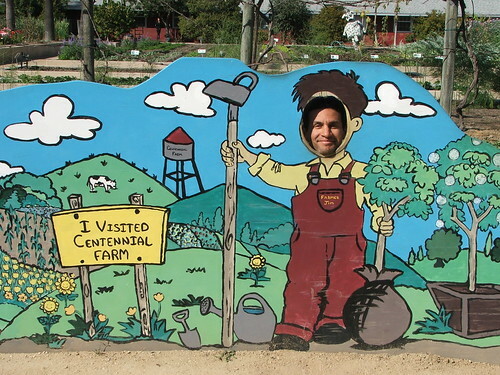 On another note…I visited Centennial Farm today with Brandy and the kids. Somehow I managed to be suckered into this. Enjoy.